London and New York: John Tallis & Company Date approx.1849 from text. Two-page map of North America drawn and engraved by J. Rapkin. Two-page map of Nova Scotia and Newfoundland drawn and engraved by J. Rapkin. Text begins with Nova Scotia, Chapter II (Pp. 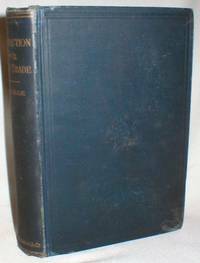 169-219), followed by Book III, Chapter I, New Brunswick (Pp. 220-273), then Book IV, Prince Edward Island (Pp. 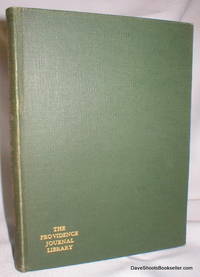 274-290), then Book V., Newfoundland and Labrador (Pp. 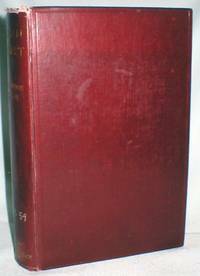 291-338), followed by Book VI, Hudson's Bay Territories (Pp. 339-356), and ending with Book VII, Vancouver's Island (Pp. 357-360). Full-page portraits of Queen Anne, Prince Rupert, William Pitt, and Sir Francis Drake with tissue guards show freckled foxing, primarily on white borders. Two-page list of Patrons and Subscribers. 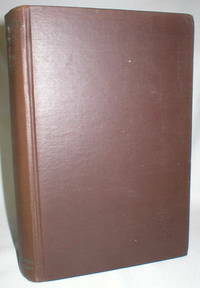 Home-Colonial Directory of Manufacturers, Warehousemen (Pp. 3-12). Red cloth on embossed, gilt-decorated boards and spine. Corner tip wear. Top inch of spine torn and repaired. No writing. 360 pp.. Hard Cover. Good Plus/No Jacket. 4to - over 9¾" - 12" tall. London and New York: John Tallis & Company Two-page map of Eastern Hemisphere drawn and engraved by J. Rapkin. Two-page map of Australia drawn and engraved by J. Rapkin. Two-page map of New South Wales drawn and engraved by J. Rapkin. 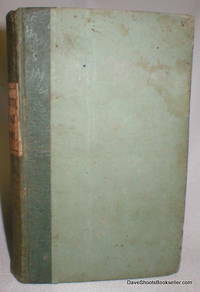 Book I, Australia, or New Holland (Pp. 361-401); Book II, New South Wales (Pp. 402-568). The first two pages are a list of Subscribers. 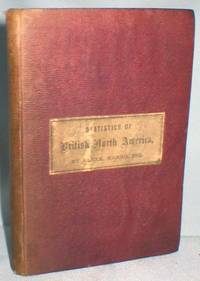 Then follows a Home-Colonial Directory of Manufacturers, Warehousemen, &c.(Pp. 3-11). Full-page portraits of Capt. James Cook, Sir Joseph Banks, and William Pitt are protected by tissue guard, but show random sprinkles of foxing on the blank margins. No date is given, but estimated 1849 from text references. Lightly worn at corner tips. No writing. 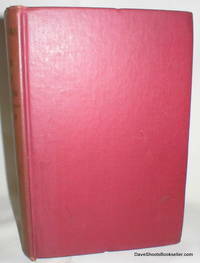 Red cloth boards decorated in gilt on cover and spine.. Hard Cover. Good Plus/No Jacket. Illus. by J. Rapkin, and Others. 4to - over 9¾" - 12" tall. New York: Harper and Brothers, 1939 Maroon cloth on boards. The Antigonish Movement took shape in the 1920's as a response to the felt needs of Northeastern Nova Scotia. Many cooperative courses and programs were fostered by local groups with strong support from St. Francis Xavier University and various Roman Catholic and Scottish Catholic groups. 170 pp. with index. There are perhaps a dozen marginal comments, not affecting legibility.. Seventh Edition. Hard Cover. Good/No Jacket. 12mo - over 6¾" - 7¾" tall. New York: E.P. Dutton & Co., 1888 Maroon cloth on boards. 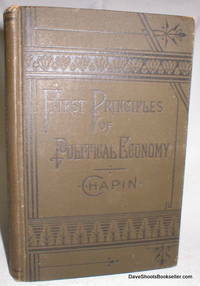 "The purpose of this book is to enforce the principle that economic conduct is a matter of duty, and therefore part of the province of conscience and of morals....A great part of the book consists of sermons actually preached. "- Preface. Bookplate of previous owner, V.D. Ruggles, who is believed to have been a clergyman of St. Paul's Episcopal Church, Brooklyn, in the early 20th Century. Hinges lightly cracked. 278 pp.. First Edition. Hard Cover. Good to Very Good/No Jacket. 12mo - over 6¾" - 7¾" tall. Providence, R.I.: Sidney S. Rider, 1896 Green cloth on boards. The Providence Journal Library in gilt on cover. Rebound 1948. A record of lotteries in the hundred-year period specified, beginning with building a bridge over the Woboset River at Providence in November, 1744. Lotteries were used by every religious denomination except the Quakers to build churches or steeples. One man in debtor's prison used this principle to re-establish himself. Schools, libraries, and organizations such as the Masons raised funds by lottery, while even the legislatures found lotteries more productive than taxation. 123 pp.. Limited to 250 Copies. Hard Cover. Very Good/No Jacket. Illus. by Facsimile Tickets/Documents. 8vo - over 7¾" - 9¾" tall. New York: John Doyle, 1833 Blue paper boards backed in blue cloth. Previous owner's name. Speckled and soiled, with foxing freckles on edges. Cottage Economy has 158 pp. with index. Poor Man's Friend has 68 pp. Previous owner's name.. Hard Cover. Fair to Good/No Jacket. 16mo - over 5¾" - 6¾" tall. New York: Sheldon & Co., 1879 Dark green cloth on boards. Previous owner's name in pencil. Only a few pencil notes. All edges red. 213 pp.. Hard Cover. Good Plus to Very Good/No Jacket. 12mo - over 6¾" - 7¾" tall. Philadelphia: Temple University Press, 2005 Red, white, and grey softcover. No writing. Pp. 7-8 lightly wrinkled. Be prepared to tackle several multi-syllabic terms popular in the field. 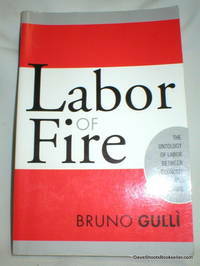 Distinguishes between "living labor" and "productive labor." 214 pp. with index.. First. Number Line Ends in 1.. Soft Cover. Good Plus to Very Good/No Jacket. 8vo - over 7¾" - 9¾" tall. New York: Grosset & Dunlap, 1929 Grey cloth on boards. No writing or damage. Edges tanned. 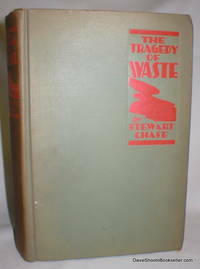 An eye-opening, thought-provoking, mind-boggling examination of current (1924) estimates of waste in all areas of consumption. Worth serious consideration. 296 pp. with index.. Reprint.. Hard Cover. Good/No Jacket. 8vo - over 7¾" - 9¾" tall. 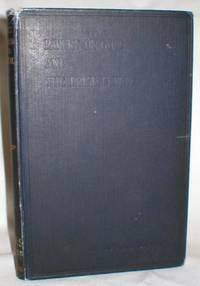 New York: New York University Press, 1967 Black cloth on boards. No writing or damage. 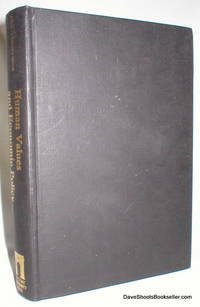 In three parts; Public and Private Values, The Basis of Value Judgments in Economics, and The Role of the Corporation in American Life. Various experts contribute articles in each of the three parts. Among the experts the name of Sidney J. Arrow bears considerable weight. 268 pp.. First ( No Additional printings). Hard Cover. Very Good/No Jacket. 12mo - over 6¾" - 7¾" tall. Boston: Little, Brown, and Company, 1925 This prominent businessman was concerned about his employees and the public poor. His New Lanark became a model for socialist experiment, with emphasis upon educatioinal methods, among other topics. Previous owner's name. Newspaper clipping pasted in. 267 pp.. First American Edition. Hard Cover. Good Plus to Very Good/No Jacket. Illus. by Frotispiece By Comerford. 8vo - over 7¾" - 9¾" tall. 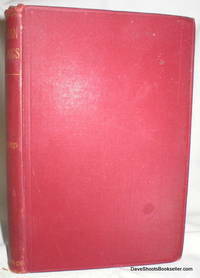 Toronto: George N. Morang & Co., Limited, 1897 Sequel to his Looking Backward, which he outlines in t he Preface to bring readers up to date. Sample chapter headings: Why the Revolution Did Not Come Earlier, How Inequality of Wealth Destroys Liberty, and Foreign Commerce Under Profits; Protection and Free Trade. Lots to think about and discuss ! No writing. First free endpaper missing. Minor cover wear. 412 pp.. First Canadian Editiion. Hard Cover. Good Plus/No Jacket. 12mo - over 6¾" - 7¾" tall. London: Kegan Paul, Trench, Trubner & Co., Ltd., 1928 Original brown cloth on boards. Paper labels cover and spine. 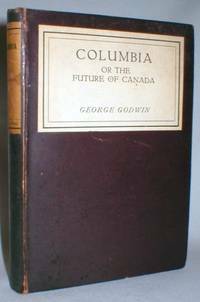 Godwin is an interesting figure who came from England to Canada, tried farming for four years, and then returned to England just in time to take part in Vimy, following which he was invalided out. Entering the practice of law, he spent the rest of his life between it and writing. This book is full of short, pithy statements pointedly, but briefly substantiated before the next subject is broached. Made me want to dig deeper. Minor joint abrasion and tiny cover spots. No writing or other damage. 95 pp. plus a long catalog.. Hard Cover. Good Plus to Very Good/No Jacket. 16mo - over 5¾" - 6¾" tall. London: P.S. King & Son, Ltd., 1932 Original dark blue cloth on boards. Library bookplate and discard stamps. No writing or tears. 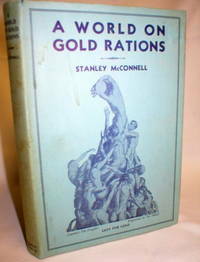 Public opinion and the price level, Movement for stable money, A stable price level, National and international burdens of price instability, Remedies, Gold - the arbiter of destiny, Agriculture and the price level, Trade depression, Taxation, Risk-taking, Price level, Views upon the effects of changing gold price levels - To the end of 1918, and from the end of the War to 1929. Much food for thought for speculators from this Depression-era viewpoint. 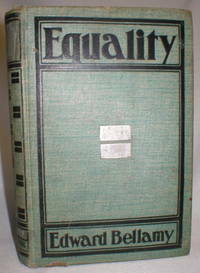 The author was President of the Bank of England and the second-richest man in Britain. "Banking was conceived in iniquity and born in sin " is quoted from him. 127 pp.plus ads.. Reprint. Hard Cover. Good Plus to Very Good/No Jacket. 8vo - over 7¾" - 9¾" tall. 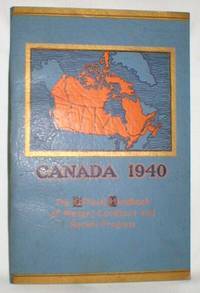 Ottawa: Dominion Bureau of Statistics, 1940 Original blue softcover. No writing or damage. Colour portraits of the King and Queen, with foldout photo page of the royal visit of 1939. 202 pp.. Soft Cover. Very Good/No Jacket. Illus. by Photos. 8vo - over 7¾" - 9¾" tall. London: Macmillan and Co., Limited, 1910 Original maroon cloth on boards. Centers on "The enterprise of ruling and civilizing a great Asiatic population." - p. VIII. Library stamps and envelope. Front hinge cracked. 371 pp.. Hard Cover. Good/No Jacket. 8vo - over 7¾" - 9¾" tall. Halifax, N.S. : E.M. McDonald, 1862 Original maroon cloth on boards. Pastedown title label. Bookplate of David Russell Jack, prominent Saint John churchman, historian, and author, remembered especially for his Centennial Prize Essay on the history of Saint John when he was 19, and for his editorship of Acadiensis Magazine from 1901 to 1908. A printed label inside the back cover states " This volume was purchased by me April, 1902, at a sale of books formerly owned by the late Hon. and Rev. William Elder. D.R. Jack" Cover faded, with small nick head of spine. Endpapers lightly foxed. Securely bound and easily readable. 225 pp. plus Contents.. First Thus. Hard Cover. Good/No Jacket. 16mo - over 5¾" - 6¾" tall. Tokyo: Bureau of Commerce and Industry, Dept. 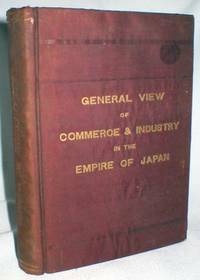 Of Agriculture and Commerce, Japan, 1893 Original maroon cloth with gold titles on boards. Issued in anticipation of the World's Fair of 1893, in Chicago, as a promotional piece. Detailed records of production, exports. imports,etc. Foldout maps of the Empire and Tokyo, as well as two-page maps of several major cities - Yokohama, Kobe, Nagasaki, Hakodate, Niigata, Kyoto, and Osaka. Previous owner's name on first free endpaper. 492 pp. including index.. First ( No Additional printings). Hard Cover. Very Good/No Jacket. Illus. by Maps and Charts. 12mo - over 6¾" - 7¾" tall.